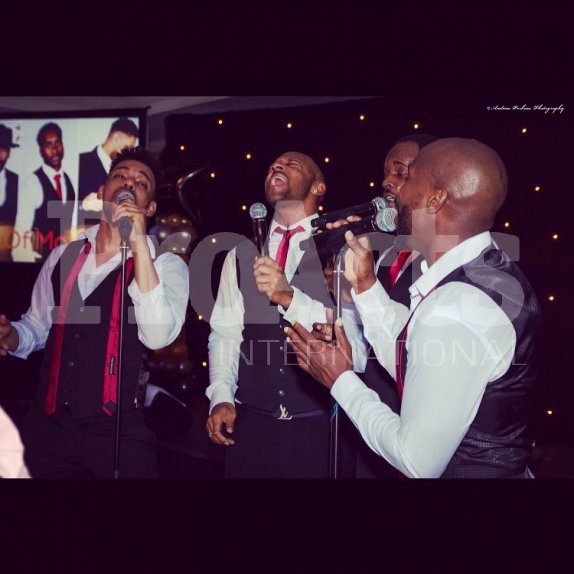 The Tribute show, dedicated to the “Smash Hit Selling Motown Groups” Featuring Chart toppers ‘The Temptations’, ‘The Four Tops’, ‘Lionel Richie’, ‘Boys 2 Men’, ‘Stevie Wonder’, ‘Marvin Gaye’, ‘Ben E. King’, ‘The Jackson 5’ and many more, playing all of the biggest hits in one room! This Motown show brings the sound of a generation, who broke through barriers to make history that is enjoyed by audiences of all ages from all parts of the world, with hits that will stand the test of time. Stars include former Drifters member and X-Factor finalist, Pierre Herelle and West End stars Rohan Pinnock-Hamilton and Curtis-Lee Scott of such hit musicals as “Hairspray” and “The Scottsboro Boys” as well as Dwayne Nosworthy who has worked with such groups as “Westlife”, “JLS”, “Alesha Dixon” and many more. High impact choreography and soulful harmonies brings the Ultimate Motown songs to the audience.